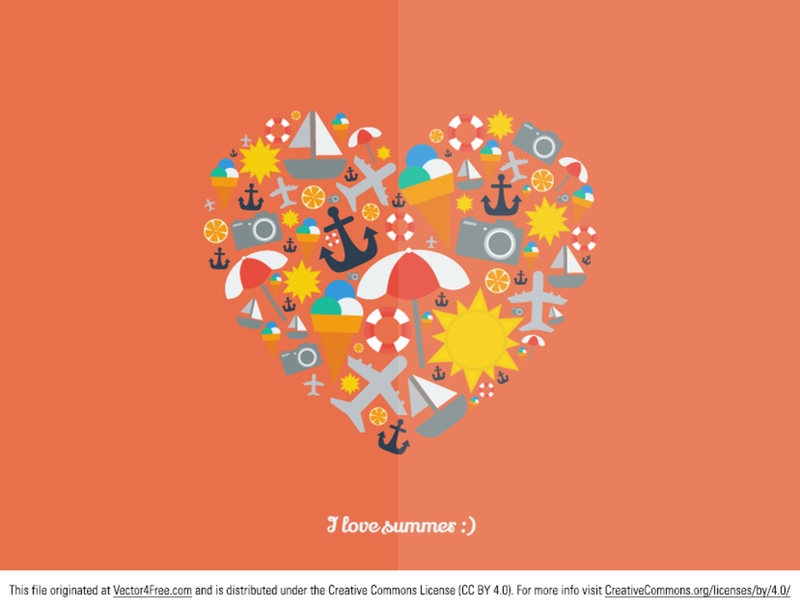 Today we share with you I Love Summer vector graphic. This .AI file is based on the shapes from previous summer icons pack (ice cream, airplane, sun, boat, orange lifebuoy, beach umbrella, camera and anchor). Hope you like it.